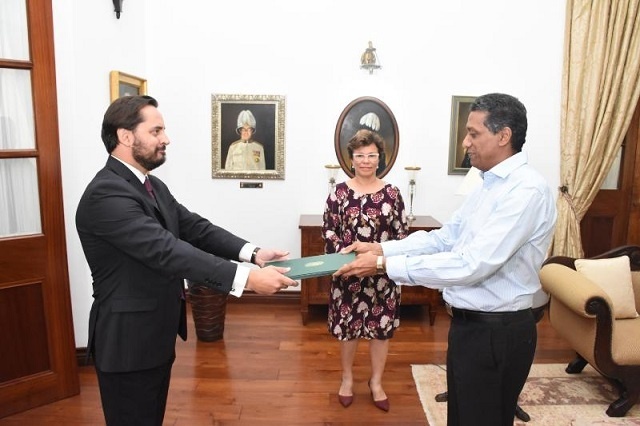 (Seychelles News Agency) - Conservation of the environment and development of the blue economy are two areas of cooperation the newly appointed ambassador of Brazil to Seychelles has outlined as a top priority during his mandate. “Conservation and the blue economy are areas of importance to the Seychellois government, where you are doing a lot and have achieved great accomplishments. It has always been an important topic to Brazil as well, and this topic as a priority in our domestic agenda so we see the many points where we can collaborate and exchange experiences,” said Cesar. Another area of cooperation discussed between the two diplomats was tourism. 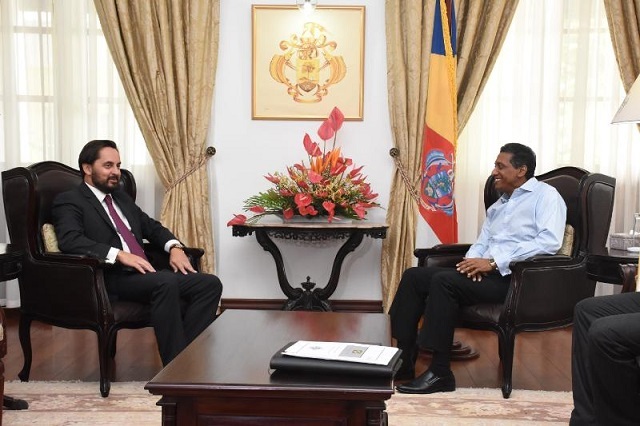 Cesar and Faure both see further potential for Seychelles’ top economy driver. “We have seen an increase in numbers and nationals of both countries still need to discover the other country as distance nowadays is no longer a big issue,” said Cesar. “The President told me that it is the intention of the government of Seychelles to carry on working in this area and to collaborate also in trying to develop small scale agriculture in Seychelles to See if Brazil can in any way collaborate technically in cooperation projects as we do in other countries of the SADC regions,” added Cesar. “These topics that we discussed are the highlights but I am sure that we can cooperate in other areas such as culture. I have been told that there is a group that plays capoeira in Seychelles and I would be delighted to meet these people and to assist in any way possible to try and bring more Brazilians to play here,” added Cesar.